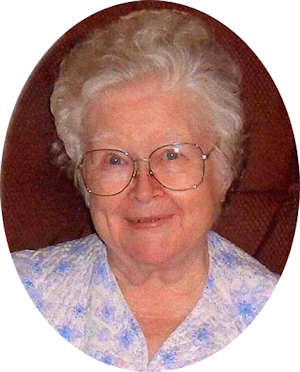 Obituary – Phillips, Dorothy Dean (Bowers) « Perry High School Alumni Association, Inc.
Y-Teens 47-48, Band 47-50, D.E. Club 47-48. 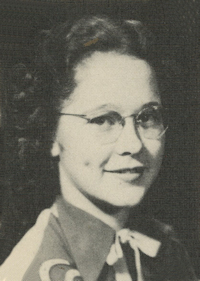 Dorothy Dean Phillips, 77, long-time Perry, Oklahoma resident, was the daughter of Walter and Iva Grace Harkins Bowers. She was born March 11, 1932 in Sumner, Oklahoma and passed away in the early morning hours on Friday, June 19, 2009 at Logan Medical Center in Guthrie, Oklahoma, surrounded by many of her family. Dorothy graduated from Perry High School in 1950 where she was a twirler with the Perry High School Band. She and Jesse Phillips were married on November 20, 1949 in Stillwater, Oklahoma. They made their home in Perry until moving to Guthrie in 2006. Dorothy was a Licensed Practical Nurse, having graduated from Blackwell General Hospital’s nursing school in 1964. That same year, Dorothy and Jesse completed the first phase of Green Valley Nursing Home in Perry. Dorothy worked at the nursing home as Director of Nursing and at Perry Memorial Hospital until her retirement. She was a member of Bible Baptist Church of Guthrie, Oklahoma where her son-in-law, Robby Robbins, is pastor. She was also a member of the American Legion Women’s Auxiliary. Dorothy was a wonderful mother to her eight children. Viewing at Brown-Dugger Funeral Home in Perry will be from 5:00-8:00 p.m. Saturday, June 20, 2009 and 8:00 a.m. to 8:00 p.m. Sunday, June 21, 2009. Viewing at Smith-Gallo Funeral Home, 220 N. 1st Street in Guthrie will be from 9:00 a.m. to 8:00 p.m. Monday, June 22, 2009. Funeral services will be at 11:00 a.m. Tuesday, June 23, 2009 at the Bible Baptist Church at 4820 South Division Street in Guthrie, Oklahoma. Pastor Robby Robbins will officiate. Committal services will be at 2:00 p.m. Tuesday, June 23, 2009 in the Grace Hill Memorial Pavilion at Grace Hill Cemetery at Perry. Services are under the direction of Brown-Dugger Funeral Home in Perry. Memorials may be made to FOGAS Friends Of Guthrie Animals in care of Brown-Dugger Funeral Home, 1010 N. 7th Street, Perry, Oklahoma 73077. She was preceded in death by her parents, Walter and Iva Bowers; one son, Terry Lee Phillips; one daughter, Barbara Allen Phillips; one brother, Forrest Bowers; one sister, Maxine Tisdell; and one son-in-law, Spec 5 Gary S. White.